For the petite woman, skirts can be a twofold problem. Often a skirt can be too long, too large around the waist, or the worst case scenario: both. 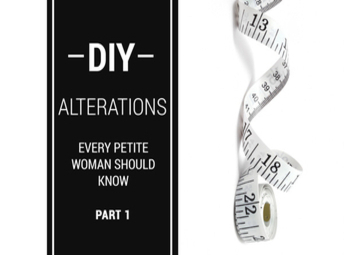 Try these DIY alterations so you don’t have to compromise on style. The hem of your dress can be taken up in the same way as skirts, but trickier alterations may be required to take in the dress and to achieve a slim-fit sleeve and underarm.